This one took longer than I thought it would. I estimated to be done with it in a week or two, but it ended up taking three! The world is made up of several islands - you start on one of them, and gradually explore the others. 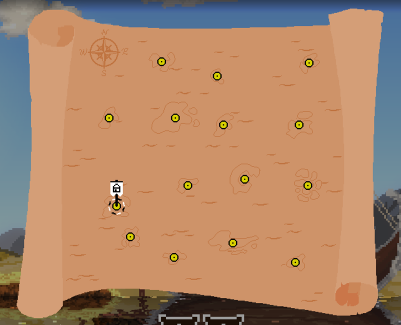 Exploration can yield extra resources. Sometimes you'll stumble upon a deposit of stone, iron or divine metal if you're lucky. These minerals, if harvested, let you build better structures and recruit better units. To get to another island, you'll want a boat. These can be built in the Docks, in exchange for some wood and gold. 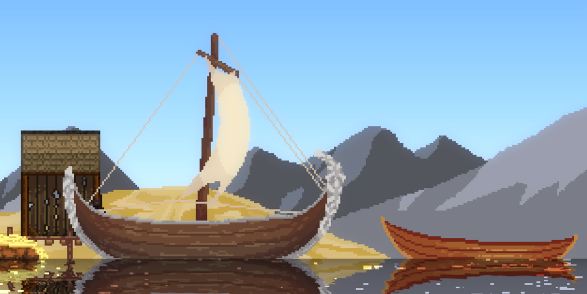 I've added two types of boats: dinghy and ship. The difference between those two is of course cost, but also how many soldiers one can carry. Once you have one of these, you can pack it with some warriors, and sail away. Choose your destination using this stylish map! The map is, like the rest of the world, procedurally generated - I use several small hand drawn islands and pseudo-randomly place them on the map. That's it for this devlog! Thanks for reading! If you have any questions or suggestions, hit up the comments!